The same day that I put out my fall decor last weekend, we went to a water park. Oh Texas and your heat!! But this time of year has me thinking a lot about seasons, their beauty, and their purpose. We have this tree in our front yard. It's got these gorgeous bright green leaves. On half the tree. It's a thorn in our side. We're always explaining it away to neighbors and visitors. We have done everything we can to bring that big guy back to life. I actually get excited when it starts losing its leaves in fall because then no one knows it's half-dead. I'm sure it began dying during one of our hot summers in a drought. Poor guy didn't get enough water. But it is definitely not fruitful. ‭‭I don't know about you but I'd much rather be a tree that's always in blossom! So how do we do that? How do we BE that?? We spend time with the Holy Spirit. With living water. And He will make us bloom. He will show us, teach us, inspire us to produce fruit. You know what the verse before that says?? “But his delight and desire are in the law of the Lord, and on His law (the precepts, the instructions, the teachings of God) he habitually meditates (ponders and studies) by day and by night." (AMPC) Pick a life-giving scripture and meditate on it. Ask God questions about it, journal it, memorize it! 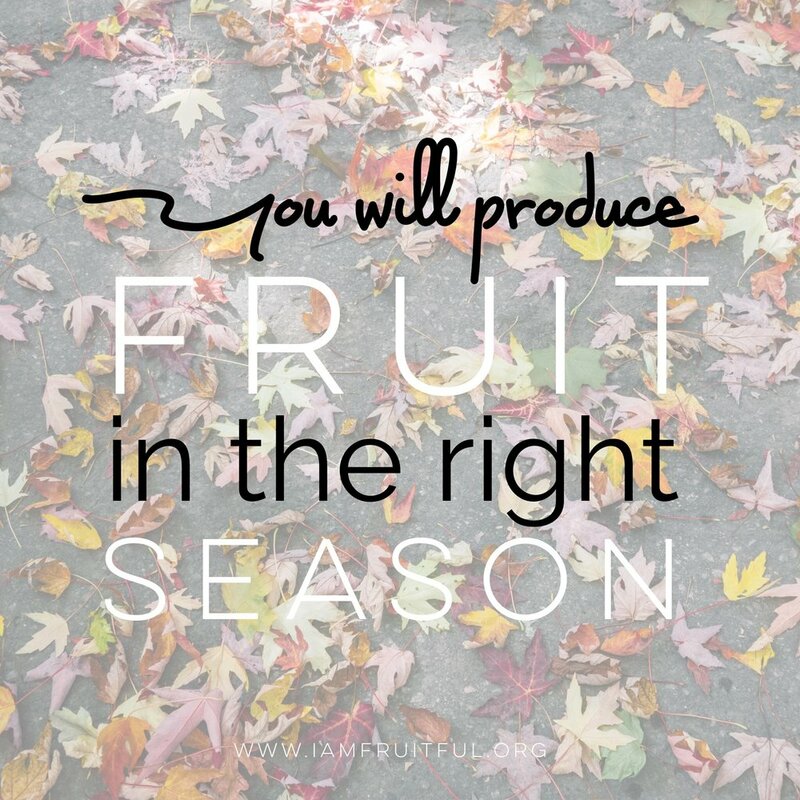 It will produce fruit in you. You will be making good use of this wilderness and be one day closer to your promised land.